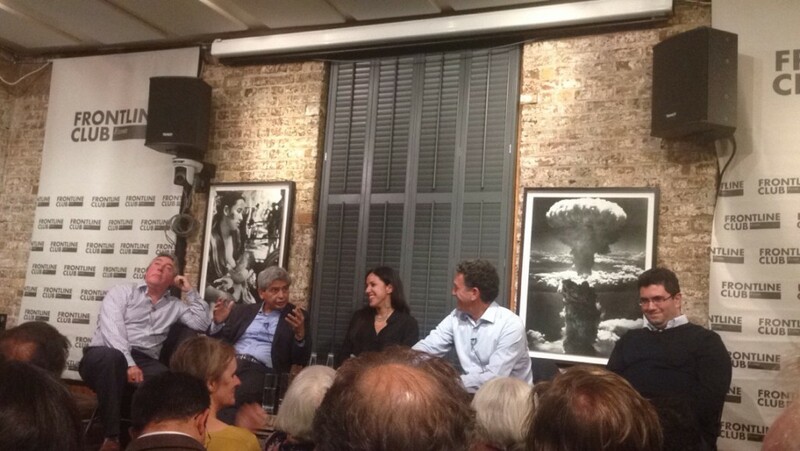 On Wednesday 2 September 2015, the Frontline Club hosted a debate on what the recent Iran nuclear agreement could mean for the country, the region and relations with the West. Just a few hours before the event, it was announced that President Obama had secured enough support in the Senate to ensure that the deal will go into effect, after Democrat Barbara Mikulski of Maryland became the 34th senator to deem it the “best option available to block Iran from having a nuclear bomb.” The agreement itself means a trade-off between Western powers, who will suspend economic sanctions on Iran providing that the regime limits the country’s nuclear programme. 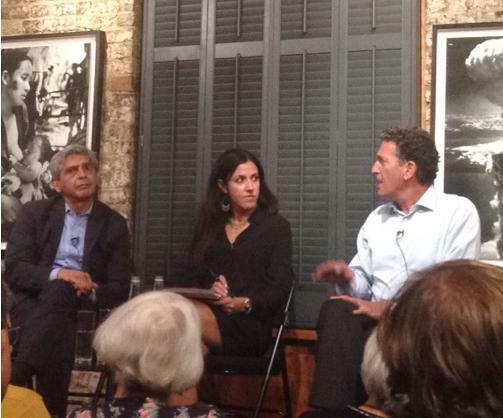 Hosting the panel of experts was Azadeh Moaveni, a former Middle East correspondent for Time magazine, who was joined by Kasra Naji, special correspondent for BBC Persian TV; Saeed Kamali Dehghan, staff journalist with the Guardian writing on Iran; James Rubin, a US foreign policy specialist who previously served under President Clinton as assistant secretary of state for public affairs; and Con Coughlin, The Telegraph‘s defence editor. He also drew comparisons between the Iran deal and the infamous Dreyfus affair in France, an espionage scandal which divided many families and society itself: “I think that Iran’s nuclear deal is Iran’s Dreyfus moment, albeit in the 21st century… It’s interesting in terms of how it’s dividing a nation, specifically in the US.” He then asserted that the deal did not polarise opinion as much in Iran, with the majority supporting it. Naji agreed that Iran’s main policies wouldn’t change, but highlighted that it had given up its nuclear ambitions despite strong opposition from Iranian hardliners, the consequences of which have yet to be played out in the Iranian political sphere. Deghlani also stepped in and disagreed with Rubin’s view that Obama’s election was not as important as Rouhani’s in making the deal a reality. The discussion then moved to Iran itself, and how different factions in the country view the deal. Naji said: “The hardliners have been forced to give up something big… but they’re not going to relent on other issues.” He then emphasised that their foreign policy will also remain firmly unchanged, and that the decision to limit their nuclear activity was a “pretty popular thing,” enabling Rouhani to fulfil an electoral promise.